Season 2 lbs. of stew meat with Bill’s blend. Dredge in flour & brown in about 2 tbs. of oil. Remove the meat & deglaze the pot with about Ya cup of red wine. Dice 1 medium to large white onion, and add an equal amount of diced celery and 2 cloves of garlic. Sauté the onion, celery, & garlic in the wine until the onion is clear. Put the meat, and whatever veggies you wish to add, into the pot. Cover all with beef broth. Simmer on medium to low heat, until the carrots are tender. To thicken the broth, mix cold water with flour (in a separate bowl) to form a smooth free-flowing liquid. 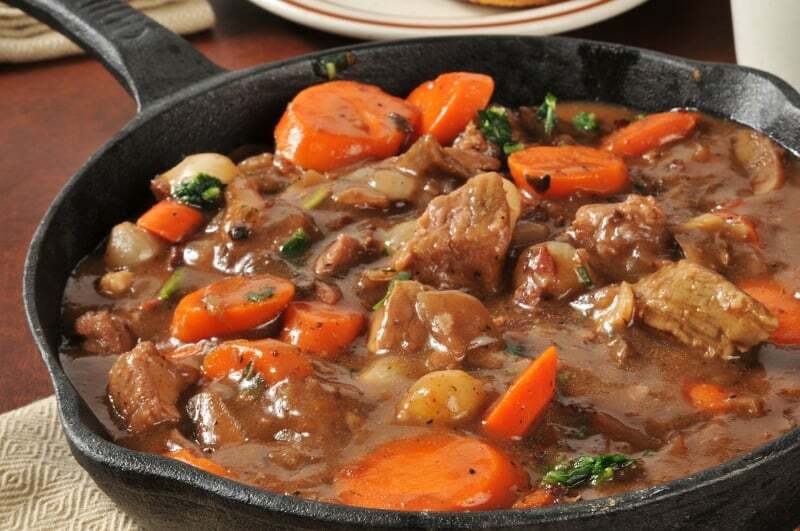 Add slowly to the stew, while stirring, until the desired thickness is reached.